Specializing in surgery of the nose and eyes and its surrounding structures, including the brow and midface and facial bone. Professional highlights include the introduction to North America the use of Botox® to slenderize the jawline and reduce teeth grinding (longest series in the US, with over 10,000 patients). Has performed over 4,000 eyelid procedures, 2,000 rhinoplasties and hundreds of facial bone procedures. Dr. Charles Lee’s Curriculum Vitae. Dr. Charles Lee is truly a leader in his field. He is certified by the American Board of Plastic Surgery, considered the “gold standard” in plastic surgery (Newsweek). In addition, he is also certified by the American Board of Otolaryngology, frequently identified as “facial plastic surgery.” In the entire nation, only ten to 15 surgeons receive such accredited double board certification per year. To the best of our knowledge, no other double board-certified plastic surgeon in North America devotes his practice to the field of Asian aesthetic plastic surgery. He has pioneered the use of Asian plastic surgery procedures in North America. Beginning in 1999, he was among the first in the continent to describe the use of BOTOX® to reduce the Asian jawline and perhaps has the largest and longest series of patients treated in this manner. 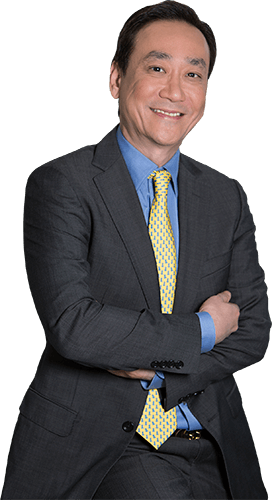 Dr. Lee has taught Asian plastic surgery courses at a national level for the American Society of Aesthetic Plastic Surgery. His audience is a group of all board-certified plastic surgeons. In addition to teaching, Dr. Lee has also written on the topics of Asian nose surgery, Asian eyelid surgery, and Asian jaw shaving for the Internet textbook emedicine.com. Dr. Charles Lee became interested in Asian plastic surgery in medical school. He obtained his medical training at the birthplace of the American Board of Plastic Surgery, Washington University in St. Louis (ranked #2 medical school by U.S. News and World Report – 2005). After finishing medical school, he completed a residency in facial, head, and neck surgery (also known as facial plastic surgery) at Loma Linda Medical Center in California. He then studied with plastic surgeon Dr. Ralph Millard, a legendary name in the field (named one of the top ten plastic surgeons of the last 100 years by the American Society of Plastic Surgeons). Dr. Charles Lee went on to join Dr. Flowers as an associate. After several years of successful practice, Dr. Lee returned to his family in Los Angeles, California, and began his current plastic surgery practice. For Asian plastic surgery, contact experienced plastic surgeon Dr. Charles Lee.